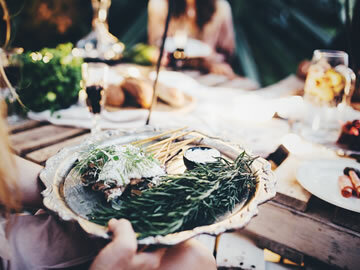 Established over 15 years ago, with nearly a thousand weddings, events and functions behind them, Spoon Fed is renowned for setting the benchmark in excellence for mobile catering on the Sunshine Coast. “There is no secret, it’s just caring more, attention to detail, and hard work. I treat every function like it’s my family and friends – and from that perspective, disappointment is definitely not an option!” Mia Daskalu. Ok, so there’s some Italian passion, but there’s also a high level of professionalism that Spoon Fed brings to the dining table. 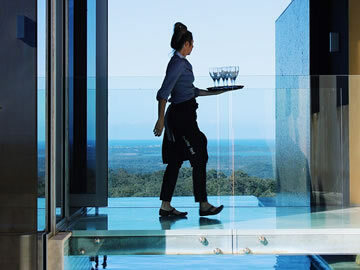 Over 40 years industry experience means they know exactly what is required to make any event a memorable success. Yes, it is important that your food is prepared with the love of mama, but for Spoon Fed, it’s also about the guest’s whole experience – no one is left out, everyone feels special. Every Spoon Fed menu is unique, and styled for the clients needs. 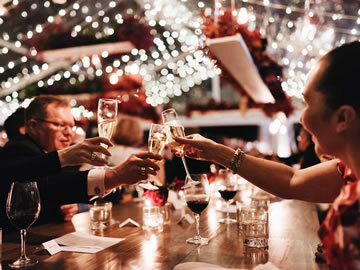 With so much experience, we have no problem in putting together a menu that specifically suits the needs of your guests and the location of your function. 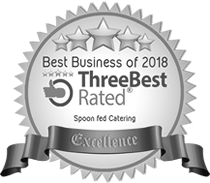 Whether your entertaining clients, getting married or celebrating an anniversary or birthday, a Spoon Fed menu will ensure everyone is delighted. Browse our sample menus and start planning your special event. The food was amazing! Thank you so much for everything you did on the weekend. We had an amazing time and I didn’t have to worry about anything. I would definitely use you again and will recommend you.